The Beach – Our hotel is ocean front allowing you access to the beach. Golf – Enjoy any of the marvelous golf courses. Baseball – Myrtle Beach is home to minor league baseball team The Pelicans. Broadway at the Beach – Located at the heart of Myrtle Beach you can enjoy shopping, food, movies, night clubs and much more. The Market Common – You can find boutiques, food, a movie theater, and fitness here. Barefoot Landing – Offers fine dining, shopping and more. Ripley’s Believe It or Not Museum – Walk through and be amazed at the 12 themed galleries containing over 200 exhibits. Legends in Concert – See some of the World’s Greatest Live Tribute Shows to today and yesterdays greatest musical legends. Hollywood Wax Museum – Hang out with wax replicas of your favorite celebrities. By staying at the Ocean Plaza Ocean Front Hotel you not only get an oceanfront room with a spectacular view, but you can take advantage of our entertainment packages! 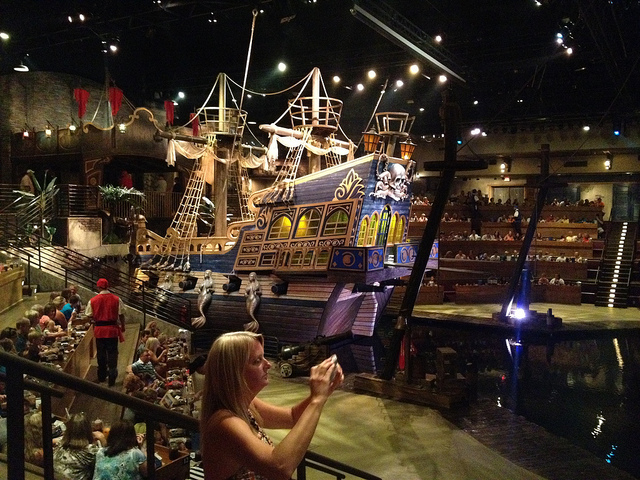 Be entertained by catching a shows at the Alabama Theatre and Pirates Voyage. If you are feeling the need for speed you can visit the Nascar Speedpark. You can make a splash at Myrtle Waves. Don’t forget about the opportunity to hold a horseshoe crab at Ripley’s Aquarium! We offer discounted tickets several Myrtle Beach Attractions. Book with us and make sure your vacation is loaded with fun and excitement! Pirates Voyage is the most fun place to eat! See our amazing aerial acrobatic acts. Be amazed matey, as me pirates battle each other on deck, in water and in the sky above me full sized pirate ships in a 15 foot deep indoor hideaway lagoon! 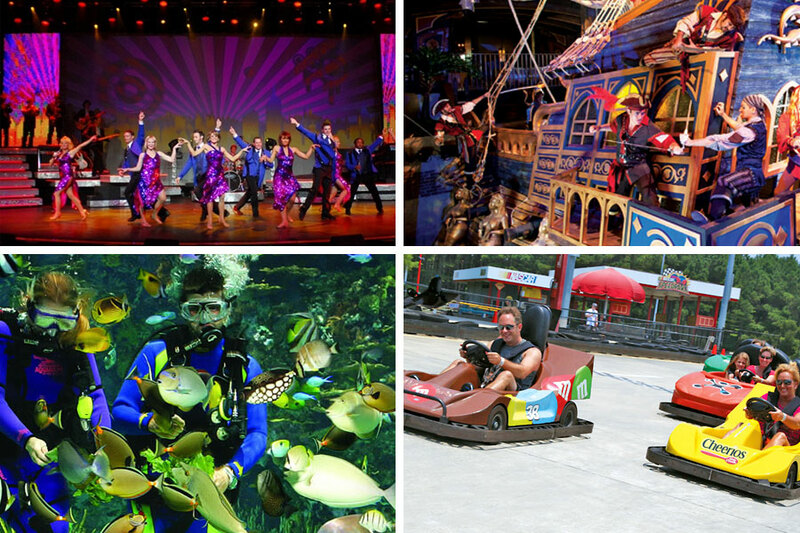 Landlubbers, be ye prepared for spectacular acrobatic competitions, live animals, beautiful mermaids and more. Join me crew for a delicious four course pirate feast! A Dolly Parton Company. For more information, visit www.piratesvoyage.com. 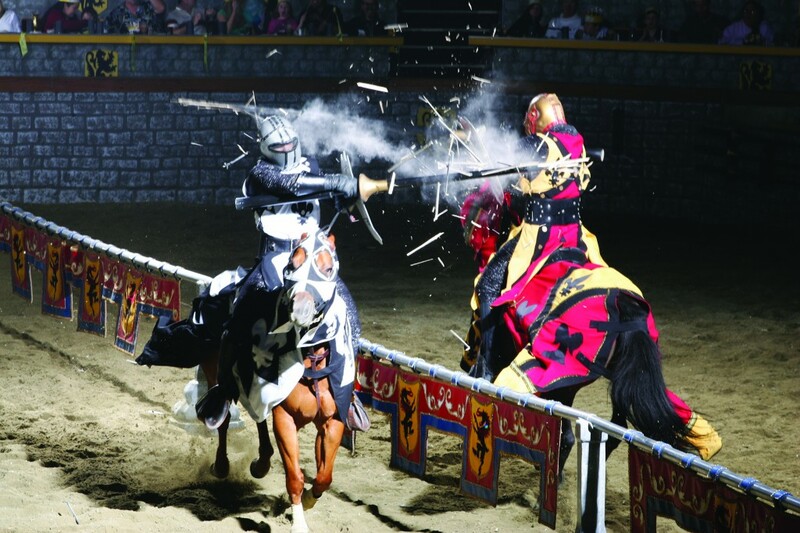 Medieval Times is located at 2904 Fantasy Way, Myrtle Beach. 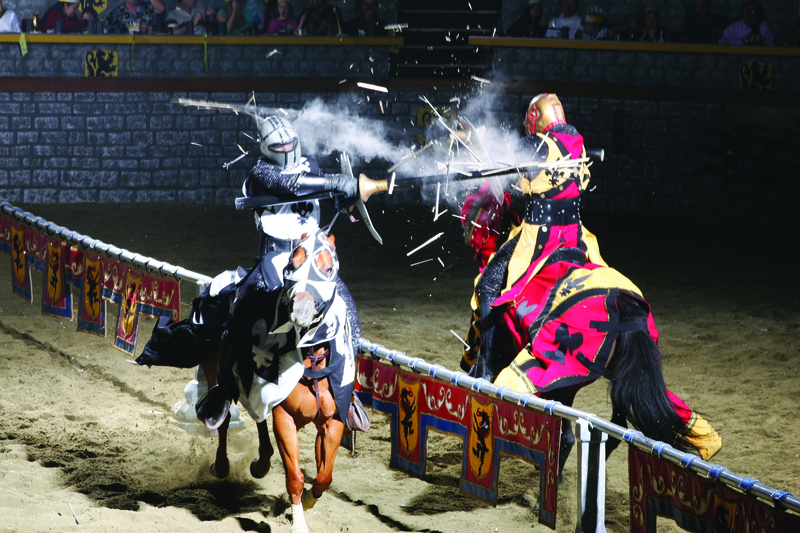 For more information, visit www.medievaltimes.com. Legends in Concert is a live, on-stage re-creation of the performances of legendary superstars of the past and present. Our very talented performers not only look like the original stars they portray, they sound like them too – there is never any lip-synching! Feed your soul at the awarding winning House of Blues featuring live music nightly, unique regional and international cuisine seasoned with a touch of the Delta and the best in contemporary folk art. House of Blues is located at Barefoot Landing. For more information, visit www.hobmyrtlebeach.com. Voted #1 By Myrtle Beach Visitors One The Show is back for another exciting year. The new production features over 24 new chart-topping songs and a new Beatles Pop segment. Also, prepare to be wowed by a stunning presentation from the all time favorite Disney musical Mary Poppins. So, if you want an evening filled with song, dance, and laughter the Alabama Theatre is the place you will want to be with your family and friends. One plays six nights a week. The Alabama Theatre presents its Guest Artists Concert Series with acts like the Randy Owen from Legendary group ALABAMA, Wayne Newton, and many other top artists. The South’s Grandest Christmas Show begins November and plays through New Year’s Eve. Call 272-1111 or 800-342-2262 to reserve seats for One The Show, The South’s Grandest Christmas Show, and the Guest Artist Concerts.